When you need to waterproof silnylon or silicone-treated fabrics, only a silicone sealant will work. 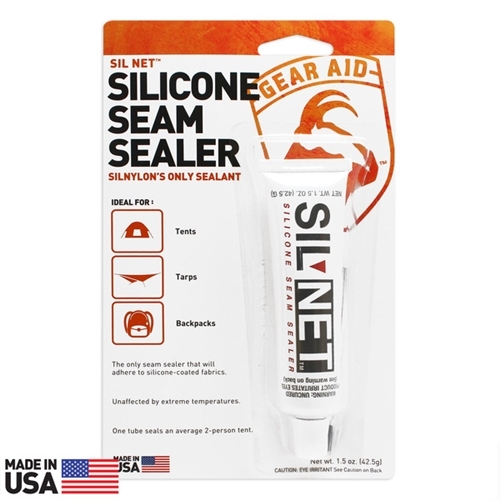 Luckily, there’s Gear Aid’s Sil Net™ silicone seam sealer. It’s fast and easy to use. 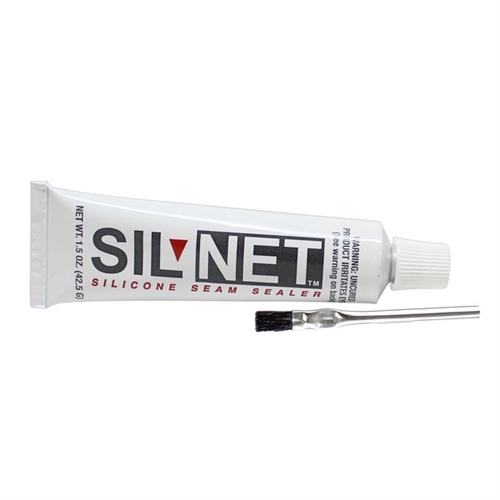 The silicone adhesive in Sil Net waterproofs silicone tent seams with just one application. Sil Net’s exclusive formula is not affected by extreme heat or cold. Plus, it comes in handy for repairs on moderate rips and tears. 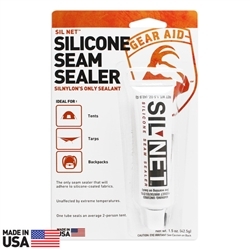 Seam sealing with Sil Net is the best way to keep the elements outside—where they belong.